Why does my head spin when I’m drunk? Is keeping up with K2 and other forms of “fake weed” a pipe dream? When he was a boy, Nicholas Hazlett grew up hearing stories of his uncle. But he never got the opportunity to know him because his uncle was killed by a drunk driver even before Hazlett was born. The tragic loss motivated Hazlett growing up and is why the Colorado State Trooper brings a special passion to his current work combating driving under the influence. 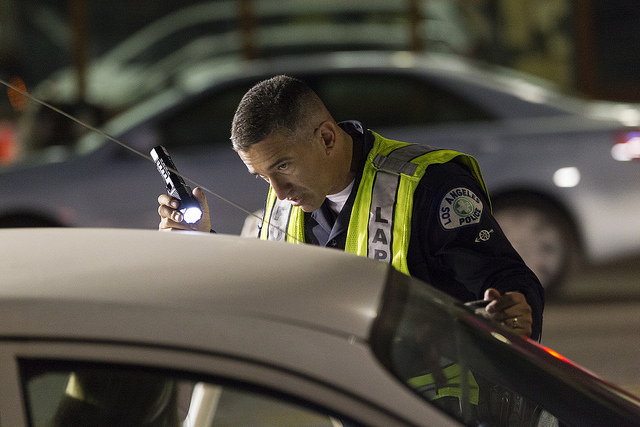 He’s watched with satisfaction as tougher enforcement and educational efforts have driven down DUI incidence across the country in recent decades. But now Hazlett and his fellow troopers are facing a new problem: an increase in marijuana-impaired driving. They worry that as more states follow Colorado and liberalize their marijuana laws, old solutions may not work anymore. There is growing evidence that cannabis impairs driving, but the problem police face is that applying laws designed to fight drunk driving may not be of much help in curbing stoned drivers, who react very differently behind the wheel and cannot be tested on the spot to see how much pot is in their system. Marijuana is the second most frequently detected drug, after alcohol, in drivers involved in accidents as well as in the general driving population, according to a recent government study. In Colorado alone, marijuana-related traffic deaths increased 92 percent from 2010 to 2014, a law-enforcement group recently reported. Evidence from real and simulated driving studies also suggests that marijuana can impair driving ability. Its key active ingredient, tetrahydrocannabinol, or THC, attaches to receptors throughout the body that are part a communication network called the endocannabinoid system. THC affects coordination and motor skills, slows down reaction times and impairs judgment. THC also interferes with memory and the ability to pay attention, which is why having pot brownies can help people relax but also cause them to temporarily forget things and experience hallucinations (in addition to giving rise to the munchies). Stoned drivers tend to drive more slowly and overestimate the time needed to come to a stop at a red light, for example. While drunk drivers are much rasher, people under the influence of marijuana are aware of their impaired abilities and try to compensate for it, according to Mitch Earleywine, a psychologist studying marijuana abuse at the State University of New York at Albany. “Reports of how reluctant stoned drivers are to participate in road tests are even more telling than anything else,” says Earleywine. In other simulated road tests, researchers found that stoned drivers have poor control over coordination and tend to weave a lot within their lane. They may also have difficulty in divided attention tasks that require more multitasking similar to everyday driving. “Driving is a very complex task, and any time there is a substance taken by people, it poses a risk not only to them but also to everyone else on the road,” says Andrew Spurgin, a researcher at the University of Iowa who was part of the simulated driving study. Worse still, frequent users of marijuana build up a tolerance to the drug that leads them to believe they are no longer impaired, says Spurgin. And because THC is metabolized by different people at highly variable rates, there is no benchmark for how much marijuana can be intoxicating for a new user versus a chronic user. Is smoking half a joint too much? No one knows. Medical marijuana patients who smoke twice a day can have elevated THC levels up to 24 hours after their last puff, despite being sober. This makes it extremely difficult to set a standard for marijuana intoxication similar to the now-standard 0.08 percent blood alcohol limit for drunk driving, which is roughly equivalent to a 200-pound man having four beers in an hour or a 160-pound woman having three. In their study, Spurgin and other researchers found that stoned drivers with 13.1 nanograms of THC per milliliter of blood wavered in their lane just as much as drunk drivers with 0.08 percent blood alcohol content. However, Spurgin is quick to point out that while the researchers measured THC at the time of intoxication, in most cases when a driver is pulled over on suspicion of driving under the influence, the actual blood test for THC doesn’t happen until one to two hours later, once the driver has been escorted to the police station. And since THC concentrations fall rapidly after a brief high, a blood test may not accurately reflect marijuana impairment. That’s why Spurgin’s team is trying to develop more accurate ways of calculating marijuana intake through oral swab tests, like those already used in Australia and the U.K. However, these tests currently only detect if THC is in the system, not if someone is impaired at the time of the test and, therefore, aren’t used by officers in the U.S. But even if police could accurately test for THC during a traffic stop, as they can with an alcohol Breathalyzer, what number would define impairment? Critics say any THC limit would be arbitrary. “It’s unfair to even try to generalize [one limit] to all drivers,” says Albany’s Earleywine. While some states have laws making it illegal to drive with more than a specified amount of THC in the body — in Colorado, it’s 5 nanograms per milliliter, or five parts per billion; in Pennsylvania, it’s just 1 nanogram per milliliter — other states don’t allow any THC at all. The three standard roadside sobriety tests — following an object with your eyes as it moves from side to side, walking nine steps heel-to-toe and then turning, and standing on one leg for 30 seconds — are much better at detecting whether someone is driving impaired than a blood measurement, according to Earleywine and Spurgin. Knvul Sheikh grew up surrounded by the beauty of the Himalayas and sustained by Pakistani cuisine. A fascination for the natural world and travel brought her to the University of California, San Diego for a B.S. in molecular biology. She spent a few years doing research there and then in Singapore before stumbling into freelancing for the Singapore Scientist. When not planning her next big trip, Knvul enjoys running and experimenting with green smoothies.